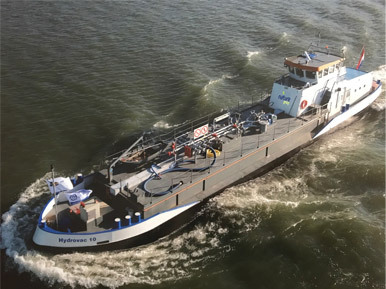 Nature Group’s port reception facility in the Netherlands, Nature International Slop Disposal (NISD), covers the crucial Amsterdam-Rotterdam-Antwerp shipping region, and is the largest offshore and maritime waste collector in the Port of Rotterdam. Extensive fleet of purpose built, double hull slop collection tankers. Open 24/7, 365 days per year. Specialised in the collection and safe disposal of large volumes. Online control of all operational data and collection activity. Our barge fleet is equipped with the latest technology and have QHSE and environmental protection as a first priority. The EBIS (European Barge Inspection Scheme) and approvals received from the various oil major vetting schemes underline our commitment to deliver the highest standards in health, safety and operational excellence. Annex I: Ship generated & cargo related waste. As the largest port reception facility NISD has several dedicated barges available 24/7 for safe collection of all Annex I cargo related washings and ship generated wastes. Cargo washings and engine room sludge/bilge wastes can if requested be discharged to the same barge (both in one go). NISD has dedicated double hull barges available 24/7 for safe collection of all Annex II cargo related wastes. 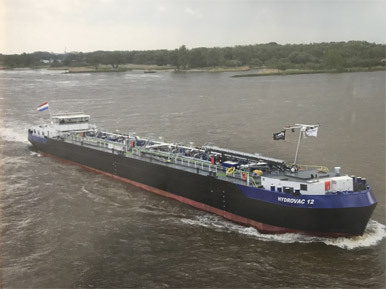 All tanker barges are suitable for receiving Annex IV. Simultaneous disposal of Annex IV with wastes from other Annexes is possible. Annex V: Domestic waste & small dangerous waste. The Annex V barge is equipped to receive combined domestic waste and small dangerous waste. NISD doesn’t charge additional barge costs for night- and weekend hours. NISD are specialists in the collection and disposal of large volumes. A wide range of barges are available for the collection and disposal of contaminated water in case of lines flushes, pressure tests, well tests or high volumes of produced/free water. In case of a trans-boundary shipment of waste products, from either onshore tank storage facilities and/or refineries. NISD can assist in obtaining an official export license (EVOA notification/TFS).